Today I entrusted you to take care of one of my most precious possessions, my daughter, my baby, my little girl. I did not make the decision to drive 3 hours to bring her to this E.R. lightly. I first took her to our family physician who then called her neurologist who recommended we come to the ER for a CT scan or MRI to check her brain. I even called while we were en route to be certain we were doing EXACTLY what her neurologist requested. We didn’t come in at the drop of a hat. We didn’t come in because she had a little headache. We didn’t drive 3 hours because we like to waste time and gas. We didn’t come in because we wanted to pay a huge hospital bill and see a random E.R. Doc. We came in because two QUALIFIED doctors who KNOW my daughter’s very serious history TOLD us to. We came in because my daughter has suffered long term mental impairment from previous headaches and consequential neurological issues have left her in a situation similar to that of a stroke patient but affecting both sides equally. We came in because EVERY time she has a serious episode she takes months or weeks to recover. We came in because when her “episodes” reach the degree that we usually wait for she is permanently damaged and by the time we arrive at your ER she is working hard to be stabilized and testing can’t be run. We came in because we TRUSTED that an E.R. doc would make a through exam and help us. We came in because she cannot lay back on her head without suffering from slurred speech, blurry vision, light headedness and other issues. We told the you this repeatedly and yet you did nothing to check those issues. 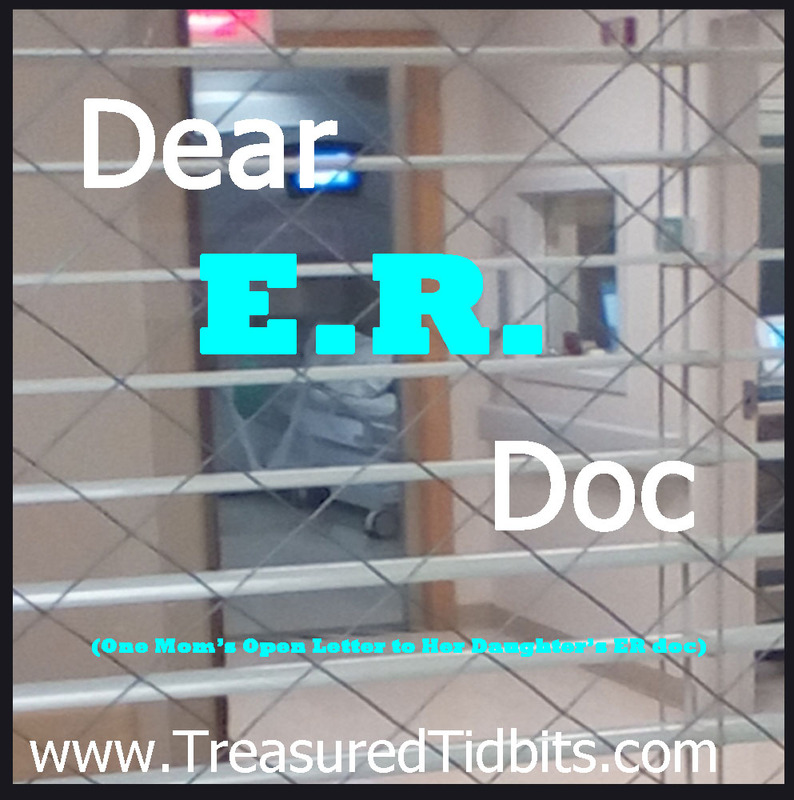 You, the trusted E.R. doc, did NO kind of neurological test. None. Zilch. Nada. We came in because the back of my daughter’s skull has been swollen and sensitive for over a week. We came in because her neck muscles have been swollen for days. This was documented by our doctor just this morning. We came in because we are not drug seekers and often have a poor reaction to medications even though we did try to self treat with ice, heat, rest, support, muscle relaxers and even over the counter pain meds. You. You simply had her lean forward and felt her neck muscles. Muscles that were obviously pulled tight by her leaning forward per your request. Muscles that could not be accurately gauged for tightness or stress from the position they were assessed. When you questioned the lack of visual neck swelling I mentioned the cranial swelling and tried to locate the areas and point them out but you simply stepped back and chose not to feel for them EVEN THOUGH my very light touch search obviously triggered a serious pain reaction in my daughter. One she responded VERY loudly and openly too. You. You, the “E. R. doc”, chose to focus on her headache pain rather than the symptoms we came in for: swelling, dizziness, blurred vision, light headedness, slurred speech, etc… You chose to dismiss knowledgeable doctors concerns and not do ANY testing whatsoever, instead you suggested we give my precious angel a shot for the pain and send a prescription to her pharmacy. Leaving her to remain dizzy, lightheaded, and with blurred vision as well as scared that you wouldn’t help her. You seemed to think we came because she had a “headache”. You also seemed quite surprised when I stated “We don’t give a crap about the $%# headache. We came because of the swelling, pressure, blurred vision and dizziness.” Which I did state as calmly and politely as I possibly could. You still proceeded to only be concerned with drugging her and sending her out the door. There seemed to be absolutely NO concern for why two qualified doctors and her mother would bring her to an overcrowded ER instead of handling it in office. I understand that as an E.R. doc you need to see multiple patients in a short period of time and make quick decisions. I understand that you probably see 100 people a day who are seeking pain medicine for one cause or another. I understand that it is your job to get people in and out of a room as quickly as possible but I also understand that you are supposed to listen to your patients and their doctors and treat them properly. We made it very clear that we were NOT there for pain meds. Yes, we did accept them when it became clear that no other help, testing or treatment would be offered and you did nothing to properly assess my daughter. You simple gave her neck a cursory look and assumed she wanted pain meds. You stated that you spoke to her neurologist and the decision was made to give her a pain shot and send her home. I, personally find this hard to believe when twice that same day we were told to go to an ER to receive a CT scan or MRI by that exact same doctor. As we waited to receive her shot and be discharged all I could do was pray that she would be well enough to travel home because traveling in a car causes pressure on her head and will often trigger a stronger headache or loss of consciousness. And that she would not suffer one of her extreme episodes because you chose to ignore her symptoms when they could be monitored and treated in an controlled environment. I have also made the decision to make our next visit to another hospital entirely so we do not risk receiving you as our E.R. doc again. I have given it great thought and decided the best way to approach the situation is to write you this letter as well as a review to your hospital department and various other outlets. Of course, the letter I send to your office will contain names and details so that the case can be reviewed in depth. I am sharing this online however because way too often I hear others complain that they are not listened to when seeking medical treatment and I have always made a point to share the positives we have experienced. 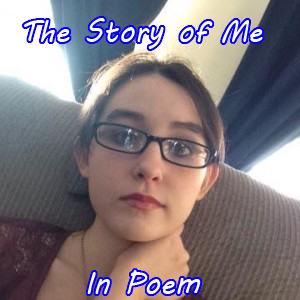 I know we aren’t the first to experience this BUT I do have a platform where I can share our story and let others know they aren’t alone as well as vent out my own frustrations. Please know that if my daughter does suffer any further damage from an incomplete exam and treatment today I will be contacting both you and the ER in question as well as my own physician to ensure it doesn’t happen to another patient who needs your help. Five minutes would have been all it took to do a much more thorough exam and see that the headache was truly not our main concern. Five more minutes could be the difference between her losing another week or month of her teenage years but five minutes and a listening ear were not something you wanted to give. Would five minutes have truly made a difference in your day? It might have hers. Please take this into consideration as you head out on your next set of rounds and learn to listen to your patients; not just see a number, a room or another “X” to check off. 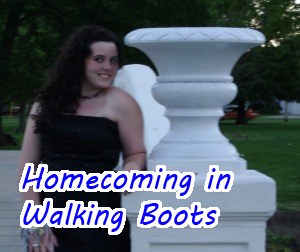 To read about my daughter’s previous “episodes” click here. I’m so sorry that your family is going through this. We’ve had dozens of ER visits and have yet to have one good experience with an ER doctor. 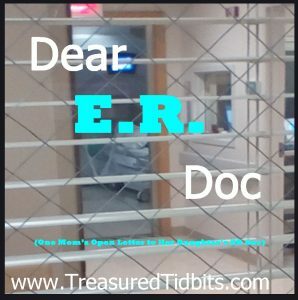 I think I was even more upset because every other ER experience we have had there has been exceptional and so have most of those we have experienced outside of that hospital. I know we have been blessed in the past and it probably factored into my irritation, knowing that better care was out there. I’m so sorry to hear of your frustrations. My mother has been through many doctors, only to have them pile one medication on top of another, causing further issues. We are truly an over-medicated society and I commend you for trying to seek out other options. I hope that Rachel is feeling better soon, and that you get better treatment options elsewhere. I have a horrible time at er’s. I have to go frequently amd 90% of the time they try to prescribe pain meds and get me out. I always refuse and demand actual trearment. 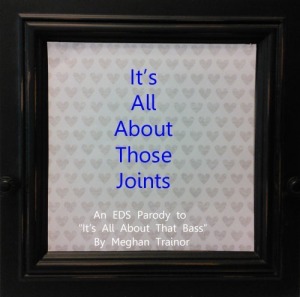 One time the er dr trie to prescribe painpaineds for what turned out to be a severe infection. Had I lwft with only thay I t could have been very bad.